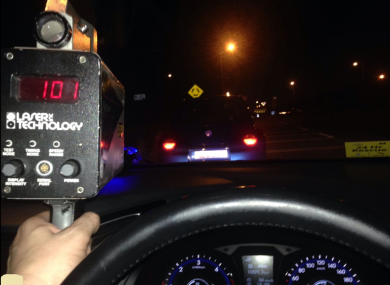 GARDAÍ HAVE DETECTED hundreds of drivers travelling over the speed limit in a 24-hour operation targeting speeders. National Slow Down Day was held over a 24-hour period from 7am yesterday, ending at 7am this morning. In total, 135,010 vehicles were checked and 341 of them were found to be travelling in excess of the speed limit. Gardaí have thanked the more than 134,000 drivers who were found to be compliant and encouraged everyone on the roads to drive safely. Email “341 drivers caught speeding in 24-hour garda crackdown”. Feedback on “341 drivers caught speeding in 24-hour garda crackdown”.